CAPE CANAVERAL, Fla — After successfully being delivered to orbit in late January of this year, the third Mobile User Objective System (MUOS 3 ) satellite has recently been taken possession of by the U.S. Navy. On-orbit testing of the spacecraft has been completed and the satellite’s operational period is set to start. MUOS-3 was launched atop a United Launch Alliance Atlas (ULA ) V541 booster on Jan. 20, 2015, from Cape Canaveral Air Force Station’s Space Launch Complex 41 in Florida. As denoted by its name, MUOS-3 is just the latest in a planned series of five spacecraft that will be fielded. The MUOS infrastructure also includes four ground stations. MUOS is designed to provide secure communications for military forces on the move. 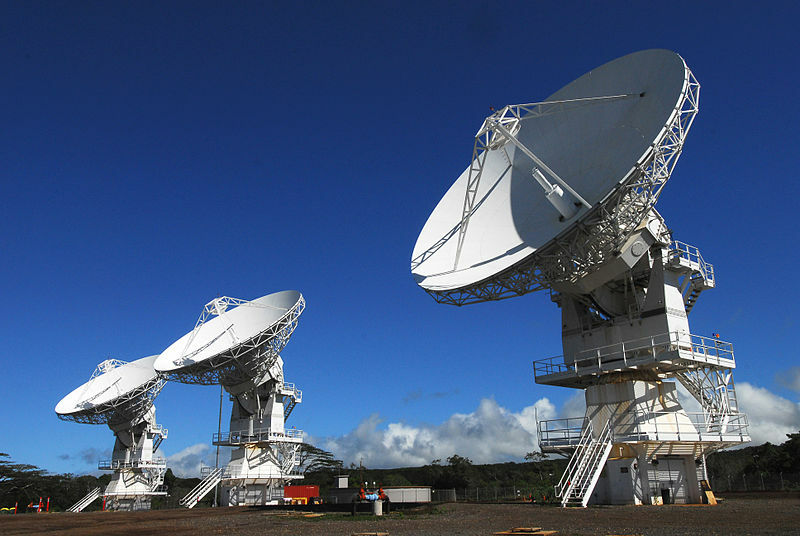 Users with operational MUOS terminals can seamlessly connect around the globe, beyond line-of-sight, with new smartphone-like capabilities, including simultaneous and crystal-clear voice, video, and mission data, on a high-speed Internet Protocol-based system. MUOS-3 will now be moved to its operational spot on orbit where it will be prepared for operational acceptance and provides coverage of more than three quarters of the Earth’s surface. These craft provide services that are comparable to smart phones, including simultaneous and prioritized voice, video and data transmission capabilities. 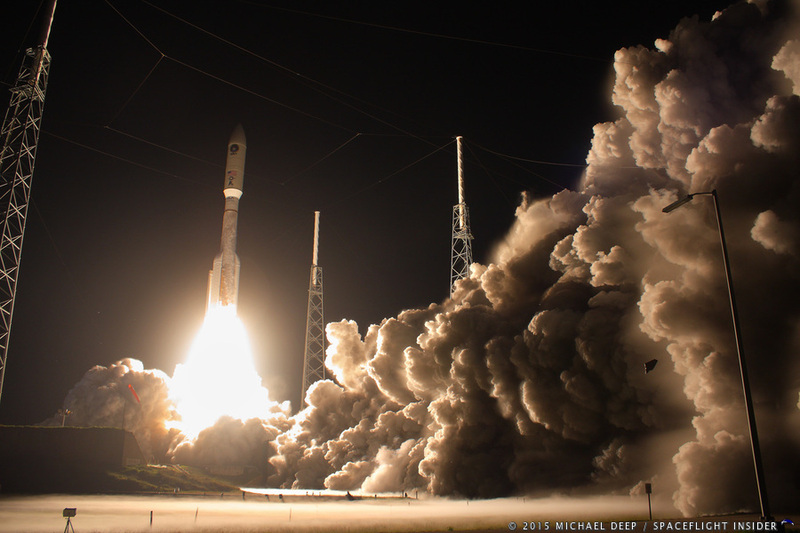 MUOS-1 was launched in 2012, with MUOS-2 taking to the skies in the following year. Both are already working, delivering voice communications services. With the inclusion of MUOS-3, the U.S. Navy should have near global coverage by the end of 2015. 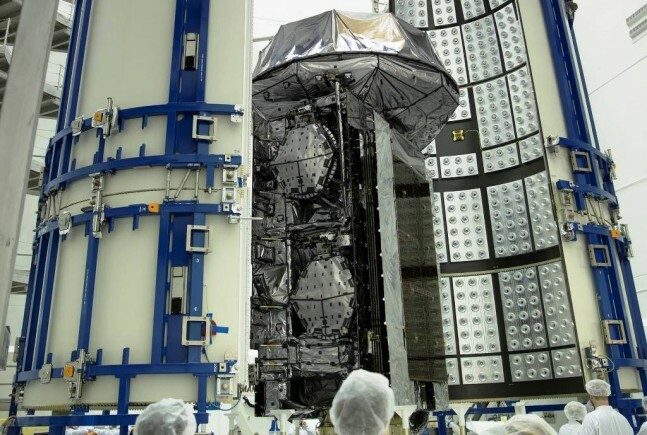 Also scheduled for later this year, is the launch of the fourth MUOS satellite. Each MUOS satellite contains a Wideband Code Division Multiple Access (WCDMA) payload. These provide an estimated 16-fold increase in transmission throughput over the current Ultra High Frequency (UHF) satellite system. Each MUOS satellite also uses a legacy UHF system to help in the transition from the UHF Follow-on system and legacy terminals to the new WCDMA technology. This should allow for a smooth transition from one system to the next.